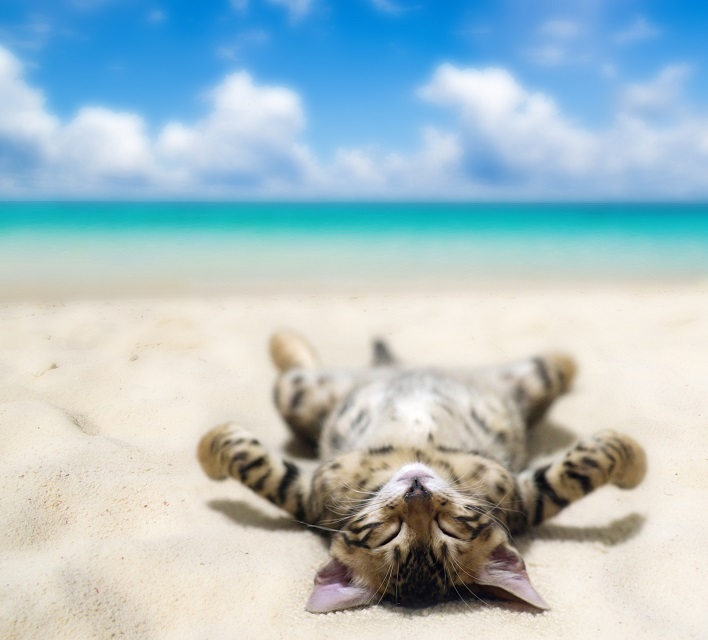 Considering taking your pet on holiday? Just like us, our furry friends need a little ‘me’ time too, and thanks to new laws it has never been easier to take your beloved cat, dog or ferret away with you. Now, you may have already dusted off your pet’s passport and packed their favourite toy, but what other precautions should you take and does your pet really need travel insurance? 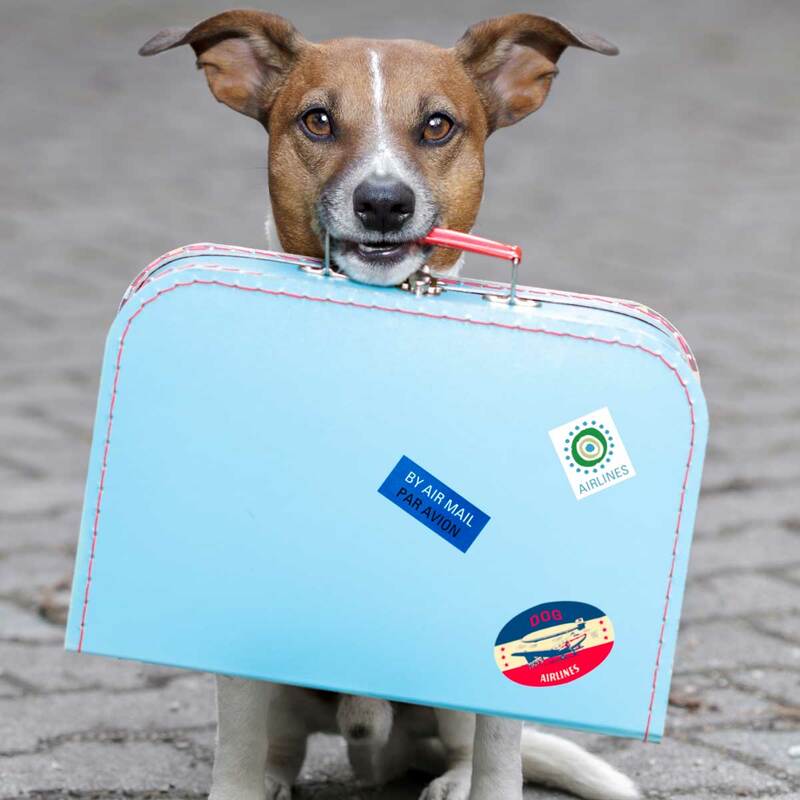 Does a travel insurance policy cover pets? Although the majority of owners already have pet insurance in place should anything happen at home, it is important to note not all insurance policies will offer cover for your furry friend whilst abroad. We recommend reading your policy wording carefully to ensure you have the appropriate cover for your pet. Just like your own travel insurance, your pet’s travel insurance will protect against financial loss should the worst happen. As much as we try to protect them, there’s no knowing what kind of mischief your pet could get into whilst on holiday! We recommend looking for a policy that will not only cover emergency veterinary treatment abroad, but also offer cover for theft or straying, accidental death and public liability. Not purchasing a policy with the correct cover for the needs of you and your pet could result in extortionate fees. The most important question you should be asking is ‘can my pet withstand the journey?’. Travelling is a stressful experience for any animal, not to mention the change in routine, environment and climate. If you are concerned about the welfare of your pet, and whether or not they will cope with the stress of travelling, your vet will be able to carry out a health assessment. Before taking your pet on holiday with you it is a good idea to carry out a few ‘practice runs’ in the carry container. Allowing your pet time to familiarise itself with the carry container will help to prevent anxiety when travelling. It may also be beneficial to put your pets blanket or toy in the container to help them adapt. The container itself should be well ventilated and have ample space for your pet to move around comfortably. It is also recommended that the food and water supply is easily accessible to enable easy refills. Always check with your airline or travel company before purchasing a travel carry container as some companies may have rules and regulations you will need to follow. It is also important to consider if the destination and accommodation is suitable for your pet. Hot climates may not be suitable for some pets; therefore, it is a good idea to check the destination with your vet before booking! Regarding accommodation, some companies will cater for your pet’s every need, where as other may only offer the very basics. Be sure to do your research and make sure your pet will be comfortable throughout the entire holiday. Finally, check the Department of Agricultural, Environment and Rural Affairs website before booking as the rules and regulations of travelling with your pet will differ between countries. Animals which do not comply with regulations may not be allowed into the country, without undergoing blood tests and a period of quarantine. The first step to obtaining your pets passport is to ensure they are microchipped so they are easily recognisable should they get lost or stolen. A vet will insert the microchip under the skin, usually between the shoulder blade, and use a handheld scanner to detect the unique identity number. This number, date of insertion and location of the microchip should all be recorded in your pet’s passport. Secondly, all vaccinations must be up to date. It is worth noting if a rabies vaccination is administered before your pet is microchipped it is invalid. Once the vet has administered the appropriate vaccinations, these should be recorded in your pet’s passport. The vet will also record the date in which a booster vaccination is required. The final step consists of recording personal information. Your pet’s passport needs to include your name and address, your pet’s name, your pet’s date of birth and a description of your pet including any significant markings. Once your pet’s passport has been issued, it will only need to be renewed once the treatment spaces are full. Under EU Law you are required to vaccinate your pet against Rabies at least 21 days before they are due to travel. The treating vet should make a record of the vaccination in your pet’s passport. Although tapeworm shows no clinical signs in dogs, particular types of tapeworm can be fatal to humans. In order to prevent this species from entering the EU all dogs must be treated by a vet with the appropriate wormer between 24 hours and 120 hours before returning back to the UK. This should be recorded in your pet’s passport. While a vaccination is not available, there are several methods that will prevent your pet from picking up ticks. Ticks are found in warmer climates and can carry harmful diseases. A vet will be able to administer the appropriate prevention to be used before and during travel. It is also advised, you check your pet daily and remove any ticks with a proper tick-removal device that can be obtained from a vet. Dogs, in particular, love a walk along the beach but be vigilant for sharp objects that could cut your pet’s paws. Have a separate collar tag made for your pet to wear on holiday with your name, contact number and details of the hotel you are staying in. Research and use verified pet sitting services – some pet friendly accommodation companies will be able to provide you with a list of recommended establishments. Ensure your pet always has access to water, especially when travelling to countries with hotter climates. Keep your pet out of mid-day sun to avoid them overheating/becoming unwell. Keep an eye on what your pet is consuming, unfamiliar foods could be harmful and in some occasions fatal to animals.